Agents can use certain tactics to outcompete other agents for the business of FSBOs and listings. Offering a limited-service option, citing data and using certain lead-generation tools are among these tactics. So are practicing scripts, making pitch calls about the prospect, focusing on old expired listings and door-knocking. Yet somehow she persuades many of these exasperated homeowners to hire her. “Our approach when we call does not come from a sales pitch; it’s all about why it didn’t sell and how a fresh approach just may be what they need,” she said. Real estate agents have long drummed up business by courting homeowners who are trying to sell their homes solo or have failed at selling their properties in the past. But competition for these prospects has grown fiercer in recent years amid inventory shortages and the growth of lead-generation technology and real estate coaching. Here are 11 tips from agents like Tagtmeier-Schmidt that may give you an edge over other agents hunting FSBOs (for sale by owners) and expired listings. 1. Offer to charge a lower fee if the seller finds the buyer. Listing agents may be able to win over a FSBO or expired listing if they offer to write a provision into their listing agreement stipulating that the seller will pay a reduced rate if the seller finds a buyer. 2. Present data that highlight the benefits of representation (if they exists). 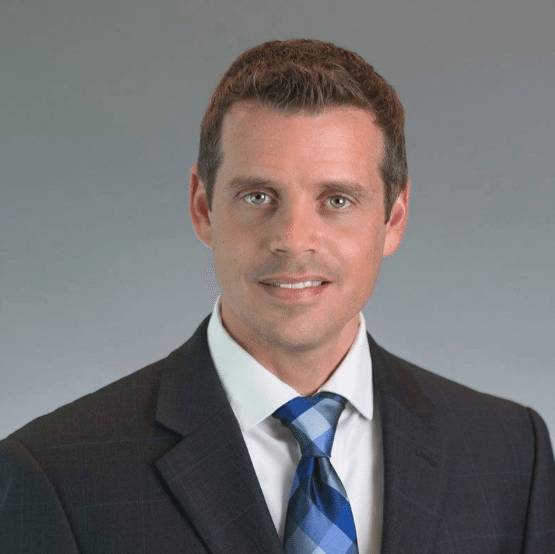 Broker Josh Tucker has converted some FSBOs into clients by pointing to data showing that agent-represented listings sell faster, at a higher rate and for more money than those listed by their owners. While agent-listed properties might not always outperform FSBOs in all markets by every measure, studies suggest that agent-listed properties tend to beat FSBOs in at least one of the metrics referenced by Tucker. “I think the data speaks for itself, at least in the Charlotte, North Carolina market, that listing with representation sells homes quicker and for more money, which is usually every sellers wish,” he said. Tucker gets comparative data on FSBO and agent-listed property performance from his multiple listing service. 3. Offer a limited-service listing option. Some FSBOs might wince at the thought of ponying up a typical 5 or 6 percent commission. But they might be receptive to a limited-service discount option, said Derek Eisenberg, founder of flat-fee brokerage Continental Real Estate Group. Offering a discount option might mean charging a small flat fee for bare-bones support, or charging a higher — yet still relatively discounted — commission for more substantial assistance. One way for brokerages to offer the second type of limited-service option would be to partner with SQFTx, which equips brokerages with a do-it-yourself listing platform to offer in conjunction with some traditional service. 4. Learn and practice scripts. “Agents who excel with FSBOs and expired listings make a point to role-play, practice, and have good scripts that can overcome the objections of the homeowners that they come into contact with,” reads a recent report by Keller Williams Realty that outlines best practices in lead generation. One resource for learning scripts, finding practice partners and crowdsourcing responses to objections from FSBOs and expired listings is the Facebook group Lead Gen Scripts and Objections. 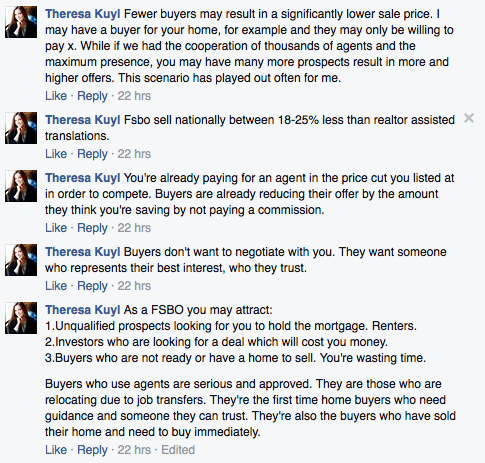 Responses from Theresa Kuyl to a post by Inman in the Facebook group Lead Gen Scripts and Objections. 5. But don’t come off as a robot — or sleazy. Many consumers may react negatively to studied sales voodoo. 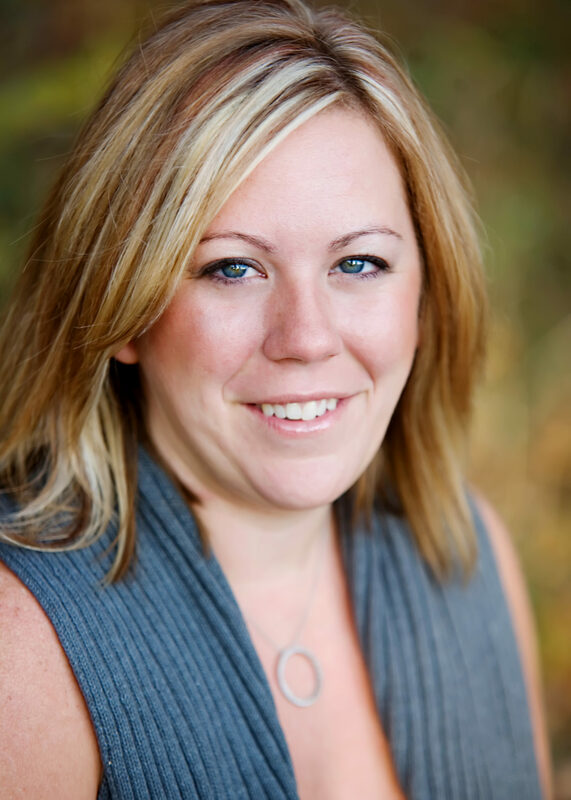 Tagtmeier-Schmidt said she distinguishes herself from the many other agents who solicit FSBOs and expired listings by shunning the sales pitch and asking homeowners to share their stories. 6. Use specialized lead-generation tools. Agents can streamline the process of pinpointing and wooing FSBOs and expired listings by using systems tailor-made for targeting such prospects. Vulcan 7 and REDX are among the most popular of these tools. Both serve up the phone numbers of FSBOs and expired listings along with autodialers for calling multiple numbers at once. When a prospect answers one of several calls made by the autodialer, the agent has an opportunity to work persuasive magic. Should someone else answer another call made by the autodialer in the meantime, that person will hear a recorded message or the dial tone. Winning over prospects by phone can be challenging. Agents with the mojo to pitch potential clients face-to-face can have better luck. “Highly skilled and prepared agents will experience greater conversion rates when going door-to-door on FSBO and expired listings,” the Keller Williams Realty report said. Winning over FSBOs: Agents with the mojo to pitch potential clients face-to-face can have better luck. 8. Focus on old expired listings. These prospects may be easier to recruit then others, according to Keller Williams. They are more likely to have built up enough equity in their homes to turn a healthy profit by selling. Highlighting the possibility for these homeowners to see a high return by liquidating their properties is often an effective way to pique their interest, Keller Williams said. Most agents don’t commit enough time and energy to winning over FSBOs and expired listings, Keller Williams said. “Follow-up is a necessary part of prospecting for FSBO and expired listings, and is often overlooked when agents face an initial difficult conversation or rejection,” the brokerage report reads. Keller Williams recommended creating a database for these contacts and reaching out to them once a week. Agents often find that — perhaps counterintuitively — a challenging lead gets easier to talk to over repeated calls, according to Keller Williams. Most agents don’t commit enough time and energy to winning over FSBOs and expired listings. 10. Text or email if a prospect doesn’t answer the phone. FSBOs and expired listings are sometimes more likely to engage an agent if the agent contacts them through text or email, Keller Williams said. Sometimes those are the only channels available for reaching certain prospects, as some FSBO and expired listings’ phone numbers can be hard to dig up. “Agents that utilize email are finding five out of ten connections they make via email are agreeable to making preview appointments,” Keller Williams claimed. 11. Hone your list of targets. Taking a shotgun approach to drumming up business from FSBOs and expired listings may work for some agents, but Keller Williams said others find more success by only targeting a specific segment of these prospects. Focusing your energy on FSBOs or expired listings — through initial contact and follow-up — within a certain price range and market can boost your chances of converting them into clients.